Dundee went down to a heavy 4-0 defeat at Livingston in Jim McIntyre’s first match as manager. The Dark Blues’ problems were obvious, conceding all the goals from badly defended set pieces, while failing to pose real problems for the Livingston defence. Declan Gallagher opened the scoring and Craig Halkett added a second late in the first half. Steven Lawless and Alan Lithgow finished the Dee off with late goals. Jim McIntyre made two changes for his first game. Sofien Moussa and Benjamin Källman started, with Elton Ngwatala and Adil Nabi moving onto the bench. After their fine start to the season Livingston were unchanged. Dundee started well and looked the more dangerous side in the opening exchanges. The Dark Blues came closest from a fast break from a Livi corner by the two Millers. Calvin raced clear from defence over the half and found Kenny, who checked inside to curl an 18 yard shot past the post. The Dee had been in little trouble up to the point when they conceded a soft goal after 18 minutes from a poorly defended set piece. Keaghan Jacobs flighted a free kick to the far post where Declan GALLAGHER rose to send his header looping over Elliott Parish and into the net. 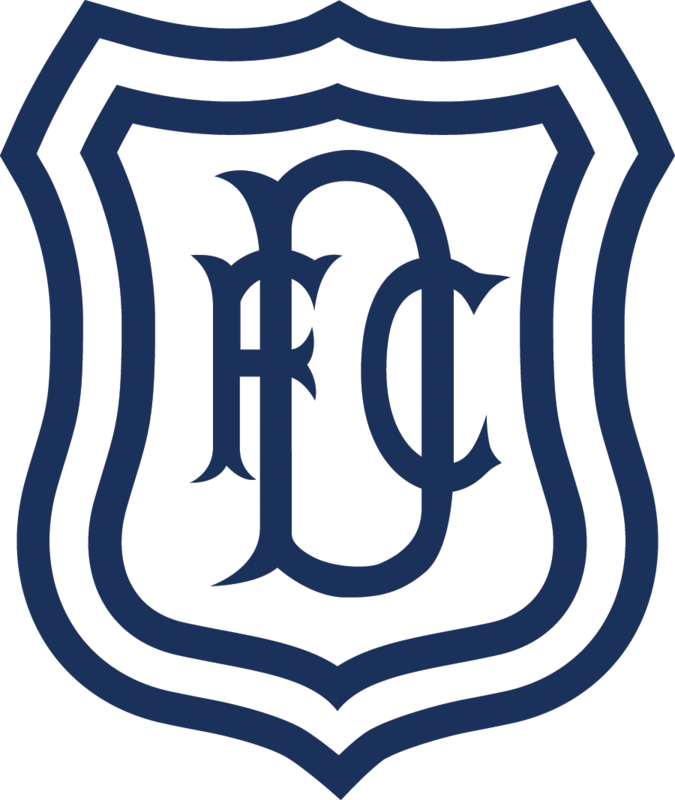 Dundee continued to play some good football through the midfield, but without any end product. Although the Livi defence was occasionally untidy they were never under serious pressure. Ryan Inniss sent a header narrowly wide from Cammy Kerr’s cross and saw his volley from a corner parried by home keeper Liam Kelly. Sofien Moussa headed over from a Kerr cross at the end of the Dee’s best move of the first half, but Dundee were struggling to open up Livingston. In open play Livi rarely created any real threat themselves, though Scott Pittman wasn’t far off target with a low drive from 20 yards. 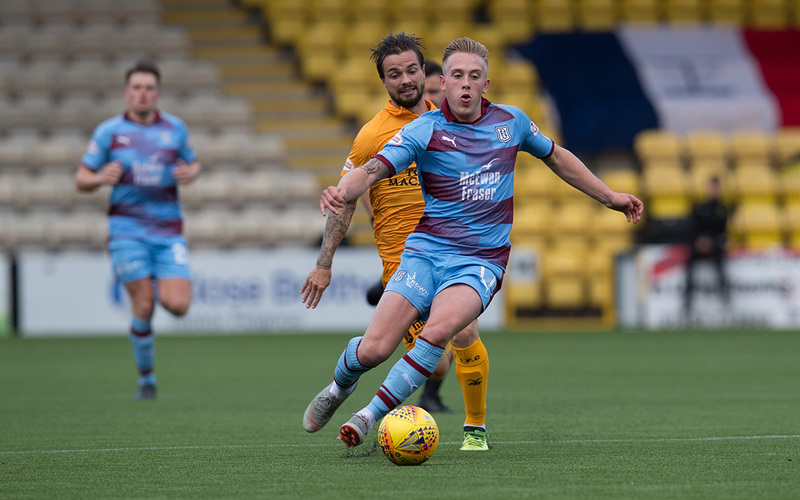 As half time approached Dundee were still very much in the game but gifted Livi a crucial second goal from a dreadfully defended free kick, taken by Jacobs from a the same position as the first goal. Craig HALKETT found himself unmarked eight yards out and got the slightest of touches on his header to send the ball sailing into the goal. The second half was a strange affair with Livi content to contain Dundee, which they did without too much trouble. They tried to pick off the Dee on the break but couldn’t fashion any chances from open play. Dundee could play the ball around tidily in midfield when they were not being pressed and looked good till they came close to the penalty area where they ran into a yellow shirted brick wall. If the move didn’t break down the Livingston defence would step in to snuff out any possible danger. After 75 minutes Dundee handed Livi a third goal that was a carbon copy of the second. The free kick was taken by Steven LAWLESS and Alan Lithgow found himself unmarked in front of goal. Although he seemed to get a slight touch the goal was credited to Lawless. A minute from the end of normal time Livingston helped themselves to another ridiculously soft goal from a set piece. The delivery was deep, beyond the far post, and LITHGOW’s header into the goalmouth struck Lewis Spence and bounced into the net for what looked like an own goal. This time Lithgow, however, was credited with the goal. Basically this game was decided by abject defending at set pieces that allowed Livi’s three central defenders either to score, or create sufficient confusion to ensure the ball ended up in the Dee’s goal. Livingston were tidy, well organised and hard working, but were rarely anything more. That allowed them to claim a significant and comfortable victory. All they had to do to earn their big win was to keep calm and concentrating, keep grafting and wait for the Dundee defence to fall apart when questions were posed at set pieces. 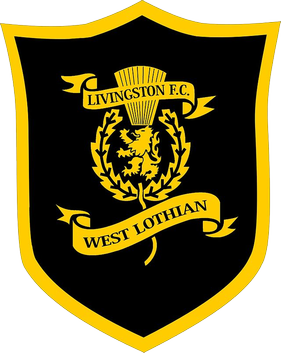 In open play there was little to choose between the sides, but Livingston excelled at the simple things; they defended properly and they took their chances when they came. Jim McIntrye will have a clearer idea of the task ahead of him after this performance. Unused subs: Stewart (gk), Cadden, Hamilton, Burns. Goals: Gallagher (18), Halkett (42), Lawless (75), Lithgow (89). Booked: Jacobs (foul on Madianga), Gallagher (preventing free kick being taken). Unused subs: Hamilton (gk), O’Dea, Deacon, Ngwatala, Mendy, Nabi, Curran. Booked: Spence (foul on Byrne). Referee: Nick Walsh. Assistants: David McGeachie, Gordon Crawford. Fourth Official: David Lowe.